Out of Order Softworks and Protovision present this exclusive, limited collector's edition! Are you still looking for the meaning of life, the universe and the first C64 adventure game of your very own? The answer is simple: D42. The D42-Adventure System from Tobias Erbsland and Stephan Lesch makes it easy to produce extensive graphic adventure games - without programming knowledge. The only limit is your imagination. You will be guided by a thorough manual (in German language) which comes as a high-quality printed book. It provides useful advice and leads you through all the steps required to complete your game, which you create in a unique, easy-to-use graphical editor. The engine required to play your game is, of course, also part of the package. And what's best about it? You can then go and sell your own game! 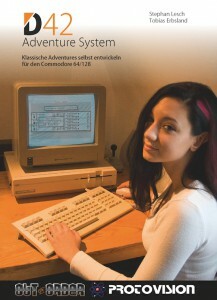 The manual for the D42-Adventure System is currently in German language only! An English language version of the manual might appear some day in the future. C64 or C128 in C64 mode, 1541/1571 Floppy, Mouse or Joystick. Out of Order Softworks have released this program as freeware! This means that you can download the D42-Adventure System 1.1 here at no cost and completely legal! No more excuses: your adventure game idea is waiting! ... to easily create extensive game worlds. ... with a professional look and feel! New: Update of the D42-Adventure System – now with Music Disk! The D42-Adventure System is available in our shop again – in a new version. Not only has this popular software been updated, it now also includes an extension disk – the blue D42-Music Disk, which includes over 40 tracks by Tobias Erbsland, categorised according to mood. You can use these in your own adventures as you see fit. Owners of the old D42-Set can be provided with an extension set for a reduced price. This year we proudly attend the Gamescom together with our pals from Out of Order Softworks and Knights of Bytes. The upcoming platformer Sam’s Journey is being featured in a near final version and can be played at our booth. Of course, The Camp or older titles can be played as well. Out of Order Softworks will feature an enhanced version of the D42-Adventure System. We are looking forward to seeing you on the biggest computer games fare in Hall 10.2 in the retro gaming area (in Cologne, August 18-21). 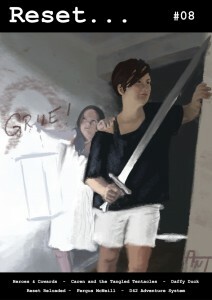 The eighth release of the English language magazine „Reset“ has a focus on Adventure games. We’re featured twice in this particular issue: with D42, and with Heroes & Cowards by Out of Order Softworks. The catchy soundtrack was popular with the testers as well. 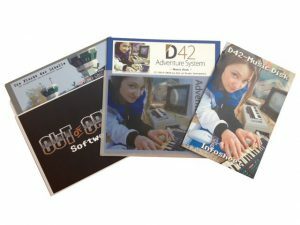 Not to forget the D42-Adventure System that allows you to easily build your own graphical adventure for the C64; programming skills not required. 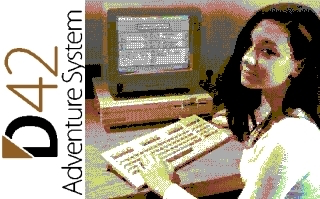 The D42-Adventure System scored 8 out of 10 points in their test. C64 DIY Adventure Construction Kit! 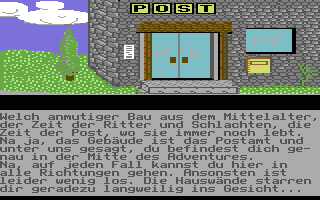 German Pixelnostalgie (Pixelnostalgia) Retro Blog covers the D42-Adventure System in an extensive article called „C64-Spiele aus dem Baukasten“ (roughly translates to what you can read in the heading). Author Axel Teichmann puts special focus in the demo adventure contained in the D42-system, which starts with the protagonist waking up completely naked in a bar. What follows, though, gets down to the nitty-gritty, giving the reader a good overview on how a layperson can assemble their first game and which technical possibilties D42 has to offer. A good primer for the subject matter! Virtual Dimension has once again done some field maintenance with “Vor Ort”, this time on Gamescom 2014. You can watch their entire report on retro computing on YouTube. Impatient folks can fast forward to minute 10:47 where you can see the D42 Adventure System presented to you by our very own, suit-clad Out of Order expert Volker Rust. You can catch the occasional glimpse at Leisure Suit Leo 2, too. The last time the folks at Virtual Dimension visited us on the spot was back in 2003 was at Vision Party. Those of you who want to indulge in more memories should stop by our press column and browse through reviews and videos. D42 – Adventure System for the Commodore 64/128 released! Out of Order Softworks and Protovision present the D42 – Adventure System, a construction set which allows any C64 enthusiast to develop sophisticated graphic adventures in the style of Crime Time, Soul Crystal or Leisure Suit Leo 2, without requiring any programming skills. For all collectors out there, we offer a top-class limited edition in an extra large box. In it, you’ll find an extensive, high-quality print manual in German language and a classy floppy disk with a transparent cover. The detailed documentation takes you by the hand and gives you useful hints and tricks, guiding you step by step towards creating your first own adventure game. The D42 Adventure System software is free of charge and is available as a download directly on our product page for you to try out! An English software version of the system is included and working on PAL-machines. You can also get the German manual in your local bookshop or on Amazon. An English language version of the manual might appear some day in the far future. 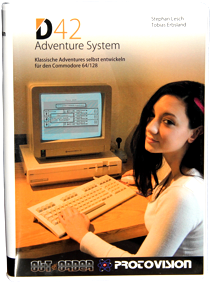 Novelty on Gamescom: We proudly present the D42 Adventure System for your Commodore 64! Out of Order Softworks will attend Gamescom this week’s Friday and Saturday presenting their newest creation: The D42 – Adventure System, which makes you create classical adventure games in the style of Crime Time or Soul Crystal from scratch. You can check out the system at our stand in the Retro Gaming Area of Hall 10.2. It is also possible to go for a round of Leisure Suit Leo 2 or simply buy one of our products – and be prepared, we’ll only have limited numbers available. Previous buyers of Leisure Suit Leo 2 are in for a special treat: Reveal yourself sporting your original Leo button and we’ll offer you a little surprise! After having the first production run of Leisure Suit Leo 2’s Deluxe Edition sold out in a matter of days, the second and last run will be available shortly at Protovision Shop. Total circulation of the Deluxe Edition will be limited to 99 copies and there will be no further batch! 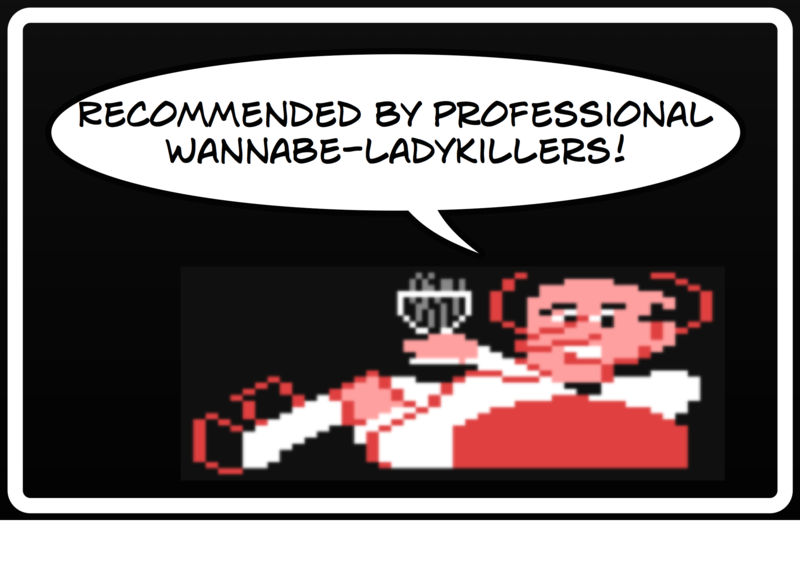 Scheduled for this summer is the release of the D42 Adventure system – a construction set which allows any C64 enthusiast to develop sophisticated graphic adventures in the style of Crime Time or Soul Crystal, without requiring any programming skills. 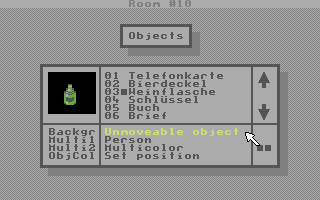 The box includes an editor and a game engine in both German and English, compatible with PAL computers, and an extensive manual in German. An English language version of the manual might appear some day in the far future. Out of Order Softworks will be present at Gamescom (largest trade fair and event highlight for computer games in Cologne) on two days, presenting both products.